Aggro Cubes - Game Review — Mobers.ORG — Your Daily Source For Mobile FUN! 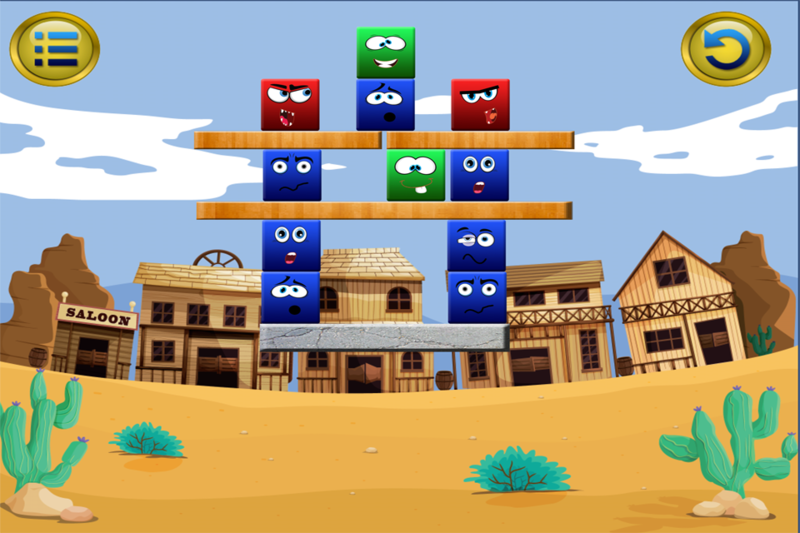 Aggro Cubes is brilliant new concept and unique idea bringing a fun game to the iPhone, iPod and iPad.The game features HD graphics, an Angry Birds style menus system and graphical feel, and an excellent addictive game with many many levels.The concept of the game is to try and make the red cubes fall from the platform by manipulating the other cubes on the screen. You can explode the black cubes to make the other cubes move and fly accoss the screen with some force. Blue cubes can be popped, doing this allows other cubes to fall and move into the space where the blue cubes were. White cubes can be expanded and are great fun to use. Then there are green cubes, these must not fall from the platform or the level is failed. The game starts off with some simple training levels to tell you all the rules and how the games is played. After these you are let loose on your own into the world of Aggro Cubes. The game cost just $0.99 and is packed with content, levels, fun and great challenges. This is one of the best games to hit the app store this year and we highly recommend yo download and enjoy this game today via the link below.